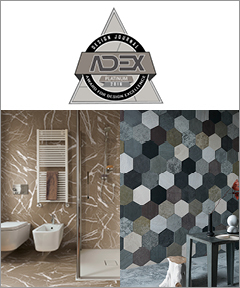 Artwork and Artesia were both presented with the 2016 ADEX Platinum Award, sponsored by Design Journal and Archineterious. The ADEX awards recognize the best products and projects of the year. Porcelain Tile Series, Type 32 and Tierras, were presented with Gold and Silver awards, respectively. Learn more about them here.